You are currently browsing the tag archive for the ‘Arthur’ tag. All of my life, and it has not been a short one, I have been interested in what is called by students of literature the matter of Britain, and its best known segment, the stories and legends of King Arthur. I cannot remember my first exposure to the stories of the Round Table, but it was either by means of Andrew Lang’s Tales of King Arthur with the wonderful Art Nouveau illustrations by H.J. Ford, or the Walt Disney animated movie The Sword In The Stone. I am leaning to the first, because The Sword In The Stone came out in 1963, when I was trembling on the brink of adolescence, and I already knew that Merlin was a darker and more powerful figure than Disney’s avuncular buffoon. The movie version of Camelot came out about this time as well. In the years that followed, I devoured T.H. White’s The Once and Future King, puzzled my way through Sir Thomas Malory’s Le Mort D’Arthur, and discovered that even John Steinbeck had set his pick into the Arthurian trench. The result was his last work of fiction; The Acts of King Arthur and His Noble Knights. Since the 1970s, there have been several other works of Arthurian fiction that I have enjoyed as well; Mary Stewart’s The Crystal Cave and the sequels, Stephen Lawhead’s Pendragon cycle, Nikolai Tolstoi’s The Coming Of The King. What attracts me to the stories of Arthur and his knights is the matter of the Grail. The Grail lifts the whole Matter of Britain out of the realm of Story and into the realm of myth and metaphysics. It is interesting to me that Malory devoted most of Le Mort D’Arthur to the achievement of the Grail. 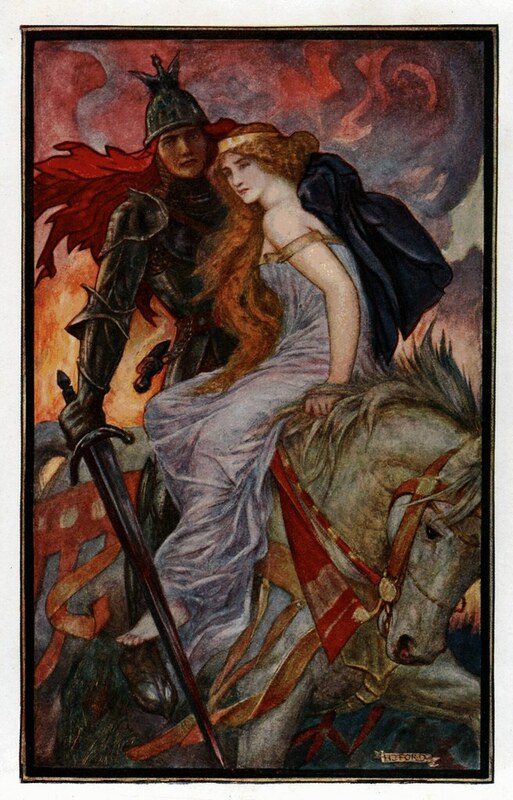 The adulterous love affair between Guinevere and Lancelot doesn’t appear to have much occupied him, although since Tennyson and the Victorians, the love story has been center stage, and the Grail forgotten. The Grail stories, though, are where the real mythopoetic power of the Arthurian material resides. Charles Williams dealt with the stories of Arthur in two volumes of poetry, possession which I have just recently come into after an extended search. He deals almost exclusively with the Grail, and with the mystical aspects of the Arthurian stories. I would like to do a read-through of his poetry, although it is famously difficult. I am not a Williams scholar. I can’t go to the Kilby collection and dig up old letters of his, and there is a lot of introductory material to get out of the way first. But I have been promising myself that I would do this, and it’s high time I started to do something worthwhile with this moribund blog anyway.